Current solid waste management and treatment industry in Indonesia is consisting of the collection, waste transportation and waste disposal of the household waste and commercial waste. The professional personnel engaged in the waste management in Indonesia is about 73,500 (thereinto, 31,900 are in Java), 40% of which is ordinary cleaners, 16% cart drivers, 28% truck drivers, 4% employees in landfills, 7% managerial persons and 5% is other related persons. But the main body of the persons who are engaged in the waste collection is the thousands of junkman. Therefore, the current situation of the solid waste treatment in Indonesia is not so easy to change because of a respectively loose management in the industry. It is said that the yearly solid waste in Indonesia is about 38,500,000 tons, which means every citizen can generate 450 g waste daily on average. The main components of the solid waste are the organic waste, which covers 62% of the total volume. And the other types of wastes are plastic waste 14%, paper 9%, glass 2%, rubber, and leather 2%, metal 2% and other wastes 13%. in addition, because of the flourishing of the tourism, more plastic wastes are generated in the tourism areas than before. That also enables Indonesia to be the second largest plastic waste generation country in the world. 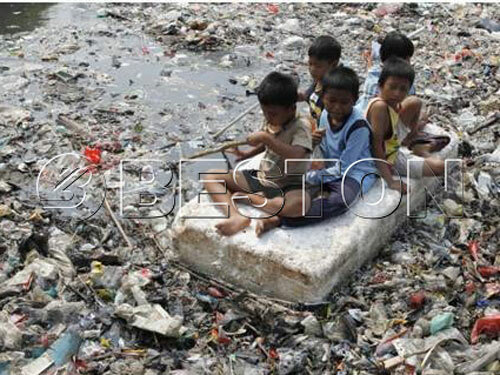 In a whole, the solid waste treatment in Indonesia is not so optimistic now. Every year, there are about 16,700,000 tons of municipal solid waste cannot receive centralized processing. Instead, they are distributed to the local community to dispose of. Due to the lacking of professional experience and money, most of the waste cannot be treated properly. According to the statistics, 11,800,000 tons of the waste is sent to the landfill directly, 1,600,000 tons is buried underground, 1,200,000 tons is used to fertilize the soil, 800,000 tons is burned directly and 500,000 tons is dumped to the river. Doubtlessly, all the above-said ways of disposing of are doing harms to the public health and the environment. But it is the situation now and even the capital of this country, Djakarta, have a lot of waste being burned every year. As we said above, the local community is usually lacking money to do proper municipal solid waste process and disposal. 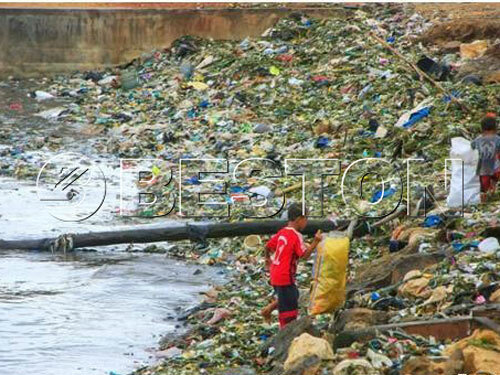 That’s why the government starts to encourage the private enterprises to involve in the waste recycling industry. As a result, some far-sighted investor in Indonesia grasp the chance and set up some real solid waste management project to solve the problem and then realize the real recycling and reusing of waste. To solve the problem and change the current situation, they must do a very good job in garbage separation from every citizen to the large organizations and the government. 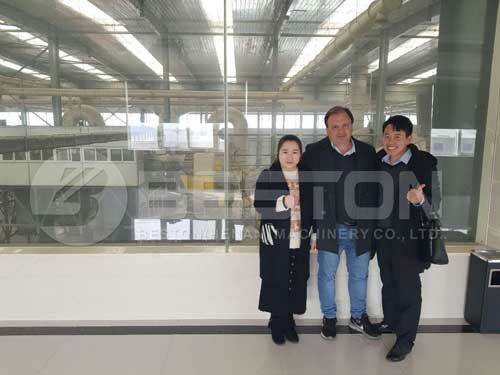 It will not be an easy thing to do at the beginning, and they might need some supportive projects with effective waste recycling machines. Private investors also see the market prospect of such kind of machine and are willing to invest in it. 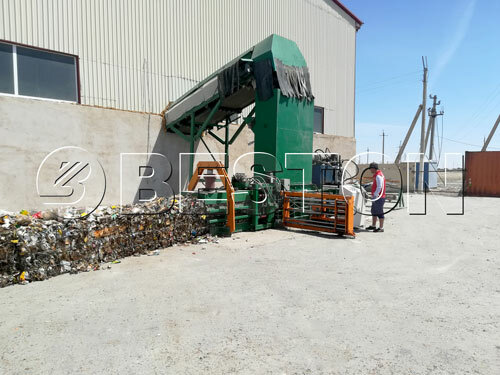 That kind of sorting machine serves as the first step in solid waste recycling. They can sort out the waste according to nature and materials. Only if the waste is sorted clearly, their value of reusing and recycling will be maximized and their harms to the environment minimized. Even with the advanced sorting technology and the high-efficiency automatic waste segregation machine, changing the current situation of solid waste management and treatment in Indonesia is still a huge task to undertake. Waste recycling and environmental protection are both big issues for every citizen, businessman, tourist, governor in Indonesia as well as the whole world.